William A. Schambra joined the Hudson Institute as a Senior Fellow and director of the Institute’s Bradley Center for Philanthropy and Civic Renewal in 2003. Prior to that, he became senior vice-president for programs at the Lynde and Harry Bradley Foundation in 1992. Preceding his tenure at Bradley he served as a senior advisor and chief speechwriter for Attorney General Edwin Meese III, Director of the Office of Personnel Management Constance Horner, and Secretary of Health and Human Services Louis Sullivan. 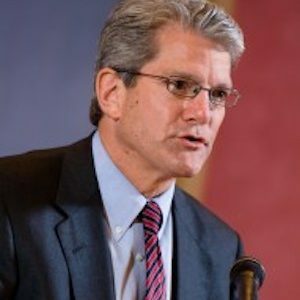 He was also director of Social Policy Programs for the American Enterprise Institute and co-director of AEI’s “A Decade of the Study of the Constitution series,” which comprised five conversations about the spirit of the Constitution. From 1984 to 1990 Schambra served as a member of the National Historical Publications and Records Commission, to which he was appointed by President Reagan. From 2003 to 2006 he served on the board of directors of the Corporation for National and Community Service. The editor of several books, including The Essential Civil Society Reader: The Classic Essays (2000) and As Far as Republican Principles Will Admit: Collected Essays of Martin Diamond (1991), he has also written extensively on the Constitution, the theory and practice of civic revitalization, and civil society in The Christian Science Monitor, The Chronicle of Philanthropy, Crisis, Nonprofit Quarterly, Philanthropy, Policy Review, The Public Interest, Public Opinion, The Wall Street Journal, and The Washington Times.